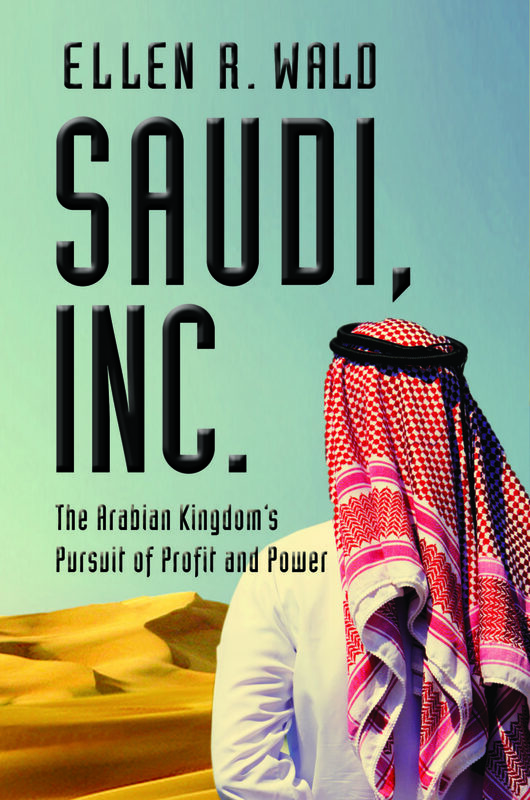 Dr. Ellen Wald is the author of Saudi, Inc.: The Arabian Kingdom’s Pursuit of Profit and Power. She is also the President of Transversal Consulting where she provides expert advice on global situations that influence the energy market. Dr. Wald has expertise in policy, wars, diplomacy, the stock market, oil pricing, and innovation and how they impact the future of the energy industry. We had the privilege of interviewing Dr. Ellen Wald. The OGM: How is the Saudi royal family working to create unity globally? Dr. Ellen Wald: The Saudi royal family, known as al Saud, is most concerned with its geopolitical priorities of 1. Counteracting the power reach of Iran and 2. Making money. For the first goal, it has prioritized its relationship with the U.S., but it is also hoping that Europe, Canada, and others will side with them and with the U.S. against Iran. There are credible rumours and some clear evidence that the threat of Iran has also brought Saudi Arabia into an official relationship with Israel, but we will have to wait to see where that goes. To pursue the second goal, profit, Saudi Arabia has built friendships across the globe but most notably in East Asia. This, however, has been pursued mostly by the national oil company, Aramco, with some assistance from the Oil Ministry and the king. The OGM: Please explain the intricacies and vision of the Saudi royal family for Aramco and how this will impact offshore oil and gas exploration and production around the globe. Dr. Ellen Wald: Historically, al Saud saw an independent and healthy oil industry as a vital component of its rule. There is a saying there that “oil is a gift from God,” and revenue from a well-run oil industry has been the reason that the country has modernized and prospered and the reason that al Saud has maintained a stable monarchy. Now there are signs that the rulers may wish to exert greater influence over the direction of Aramco. However, so far Aramco has been able to maintain its independence and has consistently led the way in Exploration and Production investment. I have been told by Aramco executives that they do not plan to purchase oil rights outside of the kingdom anytime soon, but they will invest in any and all opportunities within Saudi borders and off the Saudi coastline. The OGM: How will Aramco’s vision impact the price of oil? Dr. Ellen Wald: Aramco itself does not run the oil ministry, which is a government agency. However, since 1995 the oil minister has always been a former Aramco CEO, so they say that Aramco has significant influence. Aramco does not need higher oil prices right now, because the company is profiting well and still investing for the future. Some analysts speculate that Saudi Arabia wants higher prices in anticipation of an Aramco IPO, but the Saudis have provided no evidence for this theory to date. The OGM: What are the three most impactful initiatives of Saudi Vision2030? Dr. Ellen Wald: One part of Vision2030 is to bring more foreign businesses into the kingdom to create jobs and build an entrepreneurial atmosphere. For a country that was once extremely insular, this is part of a decades-long trend to open to the international community. Still, there are questions about how global corporations will mix with an authoritarian and religious society on a larger scale. Vision2030 also incorporates a new plan for the sovereign wealth fund. Called the Public Investment Fund Program, this plan would see the fund grow to two or three trillion dollars while investing in a mix of projects, including foreign business operations in Saudi Arabia, Saudi-run businesses, and global startups. Part of this plan is to promote job opportunities in Saudi Arabia, but it is a significant dedication of capital to a program that—as of now—has not described how it will financially help the people or the government budget. Vision2030 also incorporates centrally planned development areas, most notably Neom. Neom is intended to be a 10,230 square mile industrial and tech city in northwestern Saudi Arabia. Plans call for it to be powered by renewable energy and be open to people of all countries and faiths. Still, the concept is only in its infancy and it is unclear how much of the vision will actually be realized. The OGM: How will technology play a role in the Aramco vision? Dr. Ellen Wald: For a while now Aramco has been a major technological innovator, much like Exxon or BP. In the 1990s, Aramco built its Shaybah facility, which is still seen as cutting-edge upstream technology. When the company takes journalists or dignitaries on tours of its facilities, it stops to show off the top innovations such as its carbon capture vehicles or its nanotechnology. Aramco has also been exploring alternative energies since the 1970s when it was still partially American-owned. Back then the company was using solar panels to power desert installations, and the company outwardly maintains a devotion to developing effective alternative energy. It sees itself as an energy company, not just an oil company. It is evident that Aramco is devoting significant research and development funds to developing new energy technologies and, in particular, those that can increase the life of Saudi Arabia’s oil reserves. The OGM: How will globalization play a role in oil developments with Aramco? Dr. Ellen Wald: In 1986, Aramco first invested in an international downstream facility, with a partial ownership of what is today Motiva. Since then, Aramco has expanded its downstream operations, most notably in East Asia. Oil is a globalized business by its nature, but Aramco’s strategy has focused significantly on customers, distribution channels, and downstream partnerships over the last 15 years. Aramco is still far behind the largest IOC’s in terms of downstream capacity, but the company’s strategy continues to focus on developing midstream and downstream assets. The OGM: How will the Saudi Public Investment Fund (PIF) grow to the predicted $2 trillion in the next 2-7 years? Dr. Ellen Wald: It is a mystery how the PIF will grow to $2 trillion or more in such a short time, and it is unlikely to happen. In September of 2017, the PIF had assets of less than $225 billion. One possibility is to give government shares of Aramco to the PIF. This would immediately grow the size of the PIF, but unless the PIF sells more shares in Aramco after the IPO, those assets cannot be invested in anything new. (Note that even the most generous projections only see a $100 billion sale for the five percent of shares that would be issued in an IPO). Another possibility is to take cash from the state treasury, but that would be difficult since the government has run a deficit in recent years. The last option would be to grow the PIF through returns, but the government claims to be seeking returns of between four and five percent annually, which will not create that kind of growth. The OGM: What’s the smartest thing Canada and the US could do right now to advance oil and gas exploration and production? Dr. Ellen Wald: The U.S. and Canada need to incentivize E&P investment. Most IOCs are behind in their CapEx spending, meaning we may not have enough production in the coming years. Building better transportation infrastructure is also necessary as transportation costs eat into the profits of each barrel produced. The OGM: Are there plans to align Aramco with further opportunities in the US and Canada? Dr. Ellen Wald: Aramco goes where the profit opportunities are. Aramco already owns the largest refinery in the United States, as well as innovation centers across the continent, and a venture capital arm that invests in startups here. Aramco claims it does not yet foresee investing in oil rights outside of Saudi Arabia, but they have indicated an interest in investing in natural gas assets in North America. If Aramco is going to be the IOC it sees itself as, then it will be open to working with any U.S. or Canadian opportunity. Aramco knows from its American past and American heritage, that there are few better partners than U.S. and Canadian companies. The OGM: Where is the price of oil headed? Dr. Ellen Wald: Ali al-Naimi, the former Aramco CEO and Saudi oil minister, once said that only Allah (God) knows where the price of oil is going. That said, I believe the drop in prices from 2014 to 2017 was the result of overproduction. Of course, the impetus for the actual drop was the decision by Saudi Arabia in June and November 2014 to allow for essentially unlimited production from OPEC. Saudi Arabia did not want to enact OPEC cuts that it alone would suffer for while the rest of OPEC cheated and non-OPEC producers (Russia, North America, and others) increased production to make up for Saudi reductions. Now, Aramco and Saudi Arabia have achieved what they wanted—they forced the weaker producers in US shale and Venezuela to cut production involuntarily and they forced the rest of OPEC (and even non-OPEC partners like Russia) to comply with new cuts. There is no reason, at this point, for any producer to seek lower prices. The question is whether demand or geopolitics will force prices up. When it comes to understanding Saudi Arabia and Aramco’s goals, it is important to look at their past. One must understand what drove them to success and what they are planning for in the future.